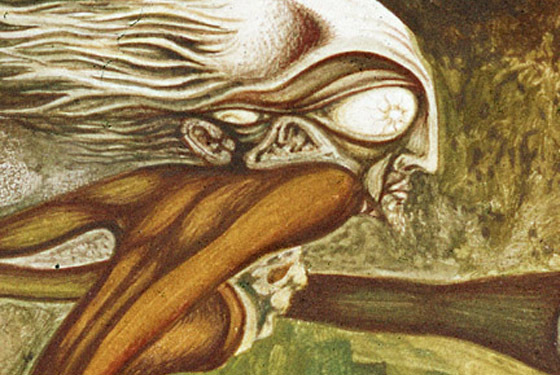 In the 1970s, the German psychedelic artist Helmut Wenske completed a cycle of twelve paintings based on Gustav Meyrink’s mystical classic, The Golem. For the first time these paintings are being published with the novel that served as their inspiration. Critic John Clute has written an introduction to the book, which uses Madge Pemberton’s hallucinogenic translation. Includes a photograph of Meyrink and other extras, including a bonus story. In an oversize 8 × 12 format with printed silk panels on both the front and rear boards, head and tail bands, ribbon marker, and a two-color cloth slipcase. Each book is signed by John Clute and Helmut Wenske. Limited to 200 copies. Limited to 200 copies, each signed by John Clute and Helmut Wenske. Film stills and movie poster artwork.